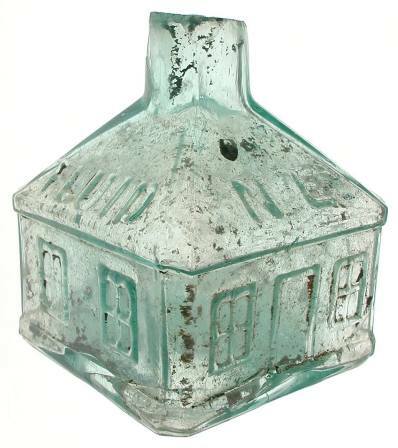 This ink bottle is made from light aquamarine glass in a house design with a shallow kick-up. Embossed on the roof is "NE PLUS ULTRA FLUID", Latin for "no better than". It was recovered in Old Sacramento in 1978. The manufacturer name and date are unknown.